Labor day is celebrated on the first Monday of September every year in United States of America. 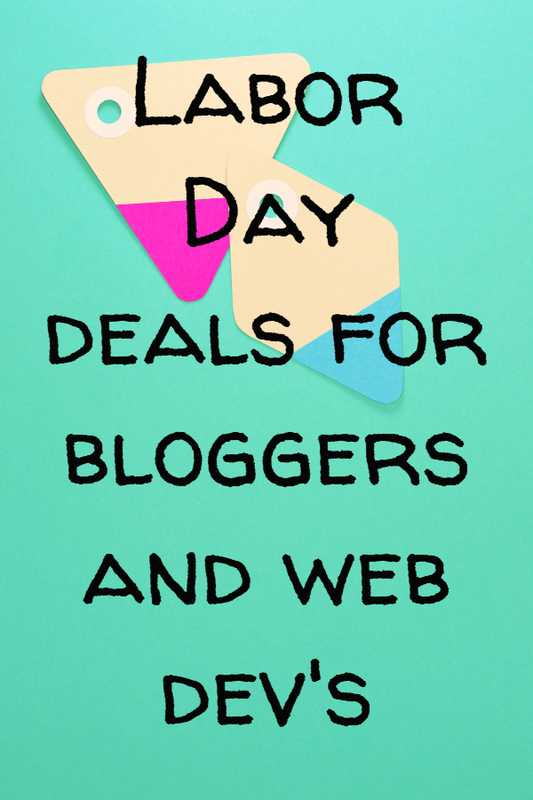 Its a public holiday out there and there are a lot of active deals and discounts on this day. If you are a Blogger or a Digital Marketer, looking to buy something specific like Registering a Domain name or Buying a website hosting or buying some product related to an Online Business, then this is one of the Best time because many good hosting companies offer great discounts this day. In this post, I have enlisted some generic deals on great products (with discount coupons) which you can grab during Labor day in 2018. Till then, I have never seen a single downtime at the hosting. Their support guys are awesome. Once I was having an issue with mail server and their support team assisted me out. They actually did the job themselves by logging in to my account instead of giving me pre-written guides. Most of their support representatives have helped 10,000s of guys and are well experienced. If you are also planning to buy web hosting or you want to migrate your existing website to some other hosting provider, you must consider buying Siteground hosting. They offer free migration, awesome technical support, full Cpanel access in mostly all plans, Free SSL, good User Interface, 30 Day money back gurantee, free daily backups and a lot more. Currently, Siteground's plans are available at a whooping discount of 70% (actually the highest discount of the season) . Discounts are valid from Monday 3rd September till Sunday, September 9th. This is not specifically a labor day sale because Namecheap never mentioned that but still they are giving away domains in less than a Dollar. Yup! The domain registrations (including .com) which usually cost you some 8-12$ for a year can be registered in just less than a Dollar. The offer has no hidden conditions. The one and only condition is you must be a new customer to Namecheap to grab this deal and apply the coupon. Do note, Namecheap also offers free WHOIS protection with all domains which just do acts like a Cherry on the Top. This is actually not only for Bloggers and Internet professionals but for anyone who is planning to buy a Dell Product in near future. Dell is offering discounts upto 40% on many products including Laptops, Desktop's and servers. I am continuously updating this article with more better deals. You can bookmark this or subscribe to my Blog for frequent updates. Google has officially declared that it will include Page speed among those factors which will effect position of websites in search engine result pages. This directly means that your website’s good speed can help you get a good position in SERPs (Search Engine Result Pages) and get good organic traffic by ranking better than your competitors. Tools like GTMetrix, Google Page Speed Insights, Pingdom etc. can help you checkout speed of your website and they will also tell you important points on which you need to work in order to optimize your website. Proper Image Optimization can help you do great improvements in speed of your website. In this article, we will discuss Image compression tools and Wordpress plugins, best tactics and techniques to follow during Image compression and best tools and plugins to compress Images. So Let's start the discussion. Image Compression is a process through which you can decrease the size of a particular image without effecting the quality of an image. For e.g. If you have a image of 100KB and you compress it with an image compression tool or plugin, you will be able to decrease the size of the image but the quality of the image will not be effected. Image compression is really important because through Image compression only, you can do a great improvement in your website’s page loading speed. #Method 2:- Compress Images with help of an Online Image Compression Tool. There are free plugins like WP Smush and paid plugins like Imagify available for Wordpress users through which they can compress their images easily. Do note, Making use of a plugin to compress images is not preferred most of the times, because most of these plugins do not compress properly like Image compression tools and Hence they do not show the same benefit as expected. Moreover, it is always better to minimize the use of Plugins. This is because plugins themselves effect page speed a bit. The more plugins you will use, the more badly it will effect your website’s page speed. Still, If you want to use a plugin to optimize images, WP Smush is always the best option. This is because WP Smush is nearly a free plugin. It has some paid features also but alike other paid plugins, it does not have any limits on the number of images you compress. Actually, most of the Image compression plugins will provide you a particular limit like you can compress only 100 Images in the free plugin version or only 1000 Images in the free plugin version but WP Smush has no such limits. You can compress as much Images you like with the help of WP Smush. Moreover Like Other Image Compression tools, you do not need to generate API to use WP Smush. All you need to do is to Go to Plugins section, Select Add a New Plugin Option, Search For WP Smush and then you need to install it. After installing the plugin, you need to first activate it. After activating, you need to go to WP Smush section in the sidebar and click on Bulk Smush option to Smush Images. That's it. This way you will be easily able to compress your images. You can even compress Images present inside a particular folder by going to Directory smush option and by selecting the folder whose media files you want to Smush. As I mentioned above as well, though this method of compressing images is easy and convenient it is not as effective as the second method. Method 2 is always more recommended than Method 1. The reason behind this is Online Image Compression tools like Optimizilla are best to optimize your images for free. There is no limit on the number of images you can optimize with Optimizilla and it is the best tool when it to comes to compressing images as it helps to decrease the size of an image to minimum by maintaining the excellent quality. Compressing images with Optimizilla is always a good practice instead of making use of a Plugin. But if you own a big website which already have a lot of images which needs compression then making use of Optimizilla can be bit hectic. This is because you will need to optimize all images one by one while using Optimizilla. After optimizing Images with Optimizilla, you need to replace them with existing images one by one. Do note if you download an image from your website for optimization purposes, after compressing it with image compressor tools like Optimizilla you need to replace the original image with this compressed image. For that you need to give the compressed image the same name as it was of the original image. After that you can install file manager plugin, go to the folder where the original image was stored and there you can upload this new compressed image and replace the existing image. Apart from Optimizilla, Compressly is also a very good tool to optimize images. Do note, you can even compress images with the help of GTmetrix itself. All you need to do is go to the warning where GTmetrix suggest you to optimize images and you can download optimized version of all images easily from there by clicking on see optimized version and saving that image. After compression, just clear the cache (if you use a cache plugin) and retest your site with page speed testing tools and you will be able to notice a good improvement in page speed. A valid SSL certificate helps you encrypt(secure) the connections which are establishing in between your web server and your visitor's browser. Moreover, it has also been noticed that websites using SSL gets good ranking in organic search results than the websites not using SSL. Hence, it becomes really important that if you are not using SSL, you should start using it. Both Free and Paid SSL certificates are available. You can get a Free SSL certificate from Cloudflare or from Lets encrypt and it will never cause you any issue. Cloudflare SSL is free for lifetime and there is no fees for it if you signup for a free website plan. They do have paid plans too. Using Cloudflare SSL certificate is more recommended over Lets encrypt because Cloudflare is mainly a CDN (Content-Delivery Network) and Hence not only it gives you free SSL but also provides you many other options to secure and fasten up your website. Do note, you can still use Cloudflare CDN to speed up your website even if you have a valid ssl certificate bought from any other third party website. Having some doubts or Queries!! Ask them Below in comments and Do not forget to subscribe to our Blog. Blogging without a Laptop seems quite impossible. Though you can surely Blog from a Mobile phone or a Tablet too, but it is little bit problematic. Many a times, you have to copy some code and then paste it in some other tab or sometimes you need to compress an image and upload it to your website or do some other tasks related to Blogging. Doing, All this becomes little tough from a mobile phone. Hence getting a good Laptop device or a good Desktop PC is surely recommended for every Blogger. Laptops are though most times preferred over Desktops just because working with a Laptop gives you independence to change your position as you can move from one place to other easily. Selecting a good Laptop device becomes very necessary for Bloggers. This is because, a Laptop is the major instrument for a Blogger and we Bloggers use it whole day. While Selecting a good Laptop, we have to look for Laptops which offers good speed and performance, have good battery life, are durable, offer good screen quality, processor, have comfortable keyboard, provides enough storage, have a pocket friendly price, good hardware specifications and consider a heck lot of other factors. Hence, selecting a good Laptop sometimes becomes a little uneasy task. This is the reason we tried to find out the solution to this problem. We contacted some prominent Bloggers and asked them questions like Which Laptop they are using for Blogging, Are they satisfied with the performance of their present Laptop, Which Laptop is best for Bloggers in their opinion, Do they recommend that Laptop to other fellow Bloggers and some other related queries. We also made some popular freelancers and Internet professionals participate in this survey. The responses we got from these famous Bloggers are really helpful and can help you select a good Laptop for Blogging or any other job you do. I have quoted these responses below and taking reference of these unbiased reviews you can choose a good Laptop for Blogging or any other Internet job you do. Akshay is a professional Blogger and a Digital Marketer who writes about Digital Marketing and its related domains. When I asked him about the device he uses for Blogging, Akshay told that he uses Apple Macbook Air and iMac 27' for Blogging and his other virtual activities. He is satisfied and happy with the performance of both these devices. "You may be thinking that I'm an Apple fanboy. Nopes. I don't like iPhones, Infact I switched back to Android from iOS. Androids are the best. But when it comes to PC, Mac is the best and leaps and bounds ahead of Windows when it comes to UI/UX. If you are serious about Blogging and if you can afford always go for Mac machines. They are powerful, and pleasure to work on"
Akshay added, "Beware, before going towards Mac because If you go you will love it and will never switch back. Hence, As per Akshay, Macbook Air which gives him 12 hours battery backup is the Best laptop for Blogging. Marko is a popular Blogger, Marketer and an amazing writer. He uses Macbook for Blogging and his other Internet jobs. "I like Macbooks and You can totally rely on them unlike Windows." He added that he is totally satisfied with performance of his device and he strongly recommends Macbook to other inspiring Bloggers and Internet professionals. Sajjad works as Ecommerce community manager with Cloudways, the popular managed hosting platform. A well known name to many involved in Ecommerce field, Sajjad Shahid uses a Lenovo Ideapad 110 laptop for managing his day-to-day Internet activities. 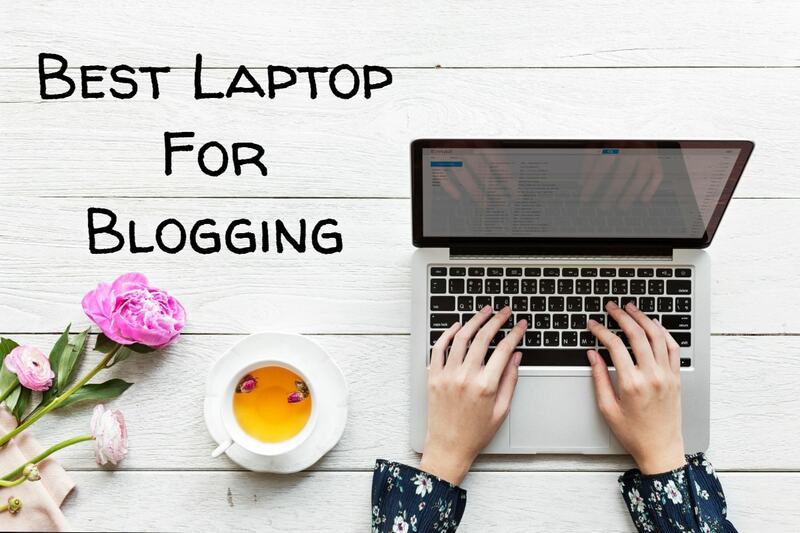 "I believe the best laptop for Blogging does not have to be expensive or cheap but it must be comfortable enough for you to produce and complete a blog." Adarsh Verma is Cofounder of FossBytes. FossBytes receives more than 3 million monthly pageviews and is one of the fastest growing Tech media startups of India. Adarsh told me that, He uses Macbook Air for his day to day jobs at Internet. He added that he is totally satisfied with Performance of Macbook Air and strongly recommends it to other growing Bloggers and Internet professionals. Doctor Amrita Basu is a popular Indian Lifestyle Blogger. You can see her articles trending at IndiBlogger many times. She is using HP i5 Notebook from the last two years and is totally satisfied with performance of her device. She says that this device is a great value for money and it has made her vlogging journey easier. 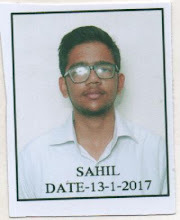 Hitesh Bhasin is Admin of Marketing91. Marketing91 is one of the most popular Blog among MBA students. Hitesh uses Macbook Air for Blogging and he is very satisfied with the performance of his device. He strongly recommends Macbook Air to other fellow Bloggers and also adds that the tools you use side by side are equally important in growing your Blog as your Laptop. Akshat is a popular Indian technology Blogger and owns many popular Technology websites. He uses Fujitsu Lifebook AH532 for Blogging purposes and says that he is highly satisfied with its performance and recommends it to everyone who is looking for a budget Laptop. "I only use this Laptop for small day-to-day tasks like Checking mails, browsing Internet or use it while travelling. He owns a personal computer as well and uses it for major tasks like Blogging and content creation." Sujoy is an expert in Cpanel Server Administration, Wordpress and Search Engine Optimization. He is also the Admin of WideInfo.org a popular Indian Blog. Sujoy uses Apple Macbook Pro for Blogging and his other Internet jobs. He says that he is totally satisfied with his Laptop and highly recommends it to other aspiring Bloggers and Internet professionals. A CA by profession, Pulkit sharma runs many websites related to Banking, GST and related topics. Some of his sites receive half million views/month and are growing continuously. "I am highly satisfied with performance of Apple Macbook air and I highly recommend it to other Bloggers. Its one of the Best things a Blogger can have." Apple Macbook Air can be labelled as the Best Laptop for Blogging. Its 10-12 hours battery backup is one main thing that appeals to most of the Bloggers. It comes with an Intel core i5 processor which can be credited for its fast better performance. Macbook Air comes under a 13 inch variant only. Both 128 and 256 GB SSD variants are made available though. HP i5 notebook can be ranked at second position in this list. It is a cost effective best Laptop for Bloggers and Internet professionals especially who prefer using Windows. If you need a pocket friendly device, you can buy HP i5 Notebook. The only problem with it is of battery backup. It also comes with an Intel core i5 processor, 15.6 inch screen and 1 TB Hard disk size. Laptop is quite heavy as compared to Macbook. Still you will not face any issue with it. Warranty of the laptop can be extended to 2 years by paying some additional amount. If you want to save some more bucks, investing in a Lenovo Ideapad 110 or in a HP i3 notebook is recommended. HP i3 notebook works like a charm. The only problem you get with HP is the poor battery life. It is just a smaller variant of HP i5 notebook as it has i3 processor. Other specifications are mostly same. Obviously i3 notebook is cheaper than i5. I have personally used it and I have faced not a single issue with it in the last two years. Lenovo on the other hand has really positive reviews and it is the best pocket friendly solution and even cheaper than HP i3 notebook. It is highly recommended for those who are low at budget and want to get the best laptop in minimum pricing. Please, keep in mind that all these reviews are unbiased, unpaid and the listings are made neither to benefit nor to harm the reputation and sales of any brand. We hope that After reading these reviews, you can surely make your selection and select a good laptop for Blogging. Comment down below and Let us know which device you bought and which you are currently using with its proper reviews. You can appreciate my efforts by sharing this content at various social platforms.